Brandi Johnson has over 10 years of digital marketing and product development experience. She is the Vice President of Marketing at Cloud Coach and Productivity Fox. Choosing the right project management solution is an important decision for any business that is growth focused. The right project management tool can do more than just keep your team organized. It can help you measure the ROI of your projects, plan for growth, allocate resources, and more. When you choose a project management solution on the Salesforce platform, you can associate your projects back to your accounts and opportunities, and leverage many other benefits of the platform itself. While there many non-native project management applications that have developed Salesforce integrations, there are significant benefits to selecting a native solution. Leverage your existing investment. If you have already deployed Salesforce in your organization – which you probably have, if you’re reading this blog – then using a solution designed to work with Salesforce can extend your investment. Project management becomes a natural extension of your existing business processes. Single-User Logins. 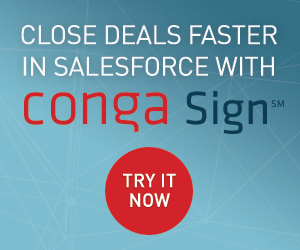 Native applications utilize the same user logins as your Salesforce orgs – along with the permission sets. Not only is it easy for your users to use, it’s easier for your IT team to administer with user permissions. Project Security. When you select a solution that is built on the Salesforce App Cloud, your project data is stored with your Salesforce data, with all of the built-in security that comes with it. Reporting and Dashboards: Project management solutions that leverage Salesforce also use the Salesforce database structure, giving you powerful access to build reports and dashboards to measure your project performance. The infographic – Using Salesforce for Project Management – was designed to help you find the best native solution for your project management needs. There are additional considerations when choosing a project management solution. Are you managing simple or complex projects? The complexity of your projects – from project duration, types of tasks, and resources required – can play an important role in your project management solution. For more complex project management, you may look for tools that include functionality around resource allocation and templates. What type of project management do you use? From agile to PPM, consider your preferred style of project management. The most popular styles include agile, waterfall, professional services automation, and portfolio project management. What is your budget for the solution? Apps for project management on the Salesforce platform can range from free solutions to over $50 per user per month. Paid solutions typically have larger feature sets and additional support over free apps. While there are many more considerations when making your project management selection, we hope that these questions, and the infographic, help save you valuable time in narrowing down your selections. I would also recommend Copado for project management consideration. It has Change Management utility that allows the collection of Projects, Epics, Sprints, User Stories, etc. plus its deployment capabilities allow users to associate metadata that are necessary for implementation. When the user stories have been successfully tested, the components can be deployed automatically from sandboxes to production! Thanks for your presentation. Tools are very helpful in any projects. Thanks for giving me information about this. I share this information with the others. 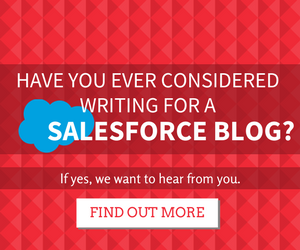 Your post increases my knowledge about salesforce. Infographics is an impressive way to represent your views in a short description. Hi, Thank you for your effort very helpful tools clear explanation about native solution . infographics are the best part in clear understanding great knowledge. Great write up. I would also suggest that you add Milestone PM+ to your research for the next version. We have a Free Edition designed for waterfall project management. Salesforce partnered with us to offer a much better, still free, and supported version of Milestones PM from Salesforce Labs. We also offer a paid version, with all the bells and whistles. Interesting infographics, thanks for sharing it, Ben! 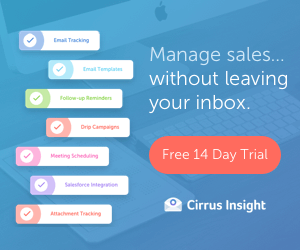 I would also add to the list Inspire Planner – it’s a Salesforce-native PM app, which among other features syncs with your Salesforce tasks, allows you to share projects with external contacts and to create multiple predecessors, all of these in a simple drag and drop interface. You can try Inspire Planner free for 30 days. Great overview! For the next infographic about project management solutions, we would be glad if you check out aduno and add it to your list of inexpensive PSA solutions. It’s very intuitive in use and saves you lots of time when it comes to quote generation, project management and billing.